I’m creating a fun and comfortable reading nook for our new/old farmhouse and as part of that process I’ve been making these fun DIY pillow covers! I looked into buying pillows but for the size I wanted they were just too expensive. Plus I wanted the ability to change them up if I wanted to with different colors or patterns. I was lucky enough to find pillow forms on sale (they can be expensive but watch for 40-50% off sales!) 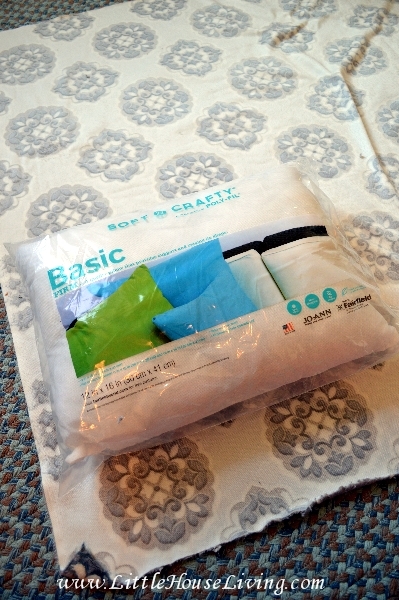 and I picked up some soft minky fabric so the pillows would be super comfortable. Each pillow will be different depending on the size but for reference I used 24 inch by 24 inch pillow forms and each pillow took a yard of fabric with a small amount left over. Start my measuring the fabric you will need by placing the pillow on the “wrong side” of the fabric. Right now you just need to measure the width. This isn’t an exact process because your pillow form could be a different size, but just make sure you have enough fabric to cover the sides of the pillow and still be able to sew it together. 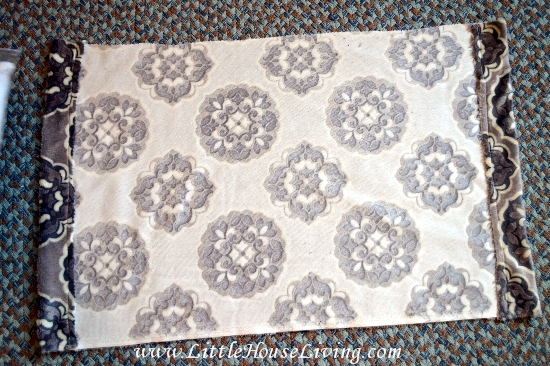 Cut for the length, then fold the fabric over the pillow and cut for the width. You will want to cut at least 4 inches longer than you will actually need to wrap around the pillow so you can make a nice pocket to slide the pillow form into. Sew a large hem onto each of the short sides Make sure you still have enough fabric to cover the entire pillow after the hems are sewn. My hems usually end up being about an inch and a half wide but it doesn’t really matter exactly how wide they are, just that there is still plenty of fabric to go around the whole pillow. 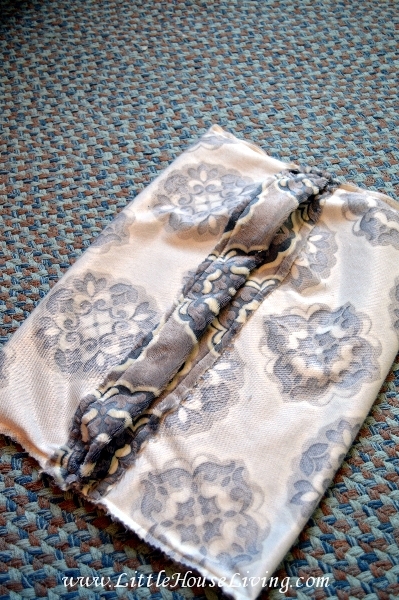 Now place the pillow inside the fabric with hems. The hems should just overlap each other. 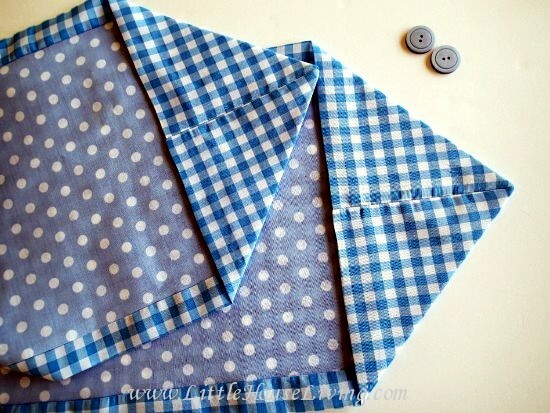 When you do this make sure your fabric is the wrong side out so you can sew what you will need to sew next. Pin the sides together. Do the first one while the pillow is laying inside and then remove the pillow form and make the second side match. Here is what the inside out pillow should look like after you’ve sewn the sides shut. You may need to trim some off the sides after you’ve sewn it if you happened to cut the fabric too wide. 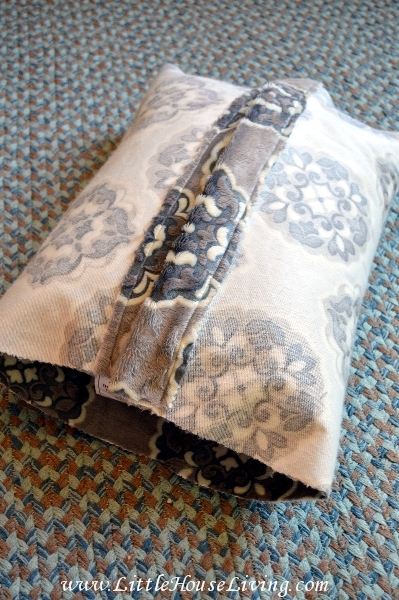 Flip the DIY Pillow Cover the right side out and use the pocket gap to place your pillow form inside. That’s all you need to do! It’s not an exact process of measuring but it’s very easy to make once you get the hang of it and the pillow covers are very forgiving. If you are making more than one of the same size pillow, it would save time to cut several pieces of fabric to the right size using the first one that you measure. I get my fabric from Fabric.com. The great thing about these DIY Pillow Covers is that you can remove them and wash them or change them up whenever needed! 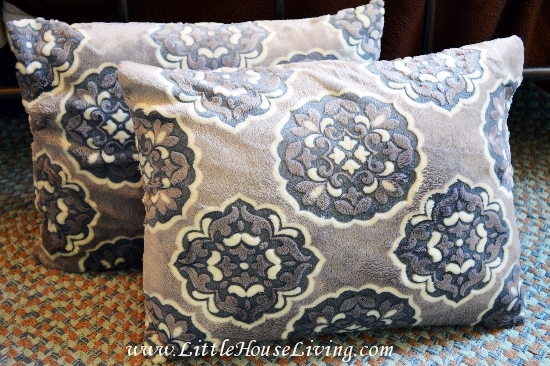 You can even use old pillows that you want to re-cover instead of a pillow form. 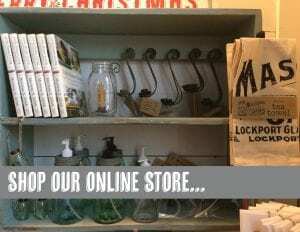 Either way it’s an easy and inexpensive way to change up the decor in your home! 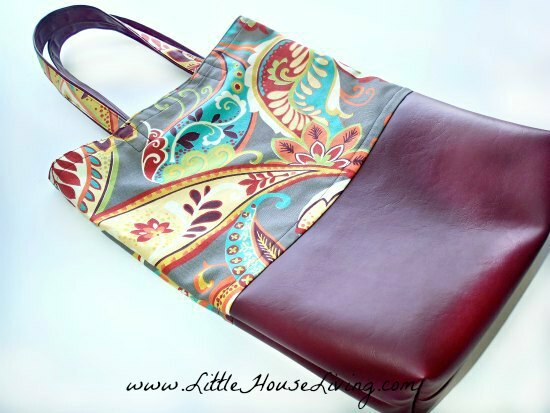 Find even more fun Sewing Projects on Little House Living! 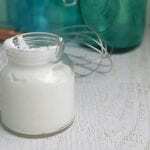 Have you ever made DIY pillow covers or any kind of fun decorative items for your house? An extra tip for other readers: If you live in an area with Ikea, they often have pillows in the “as is” section that are super cheap. 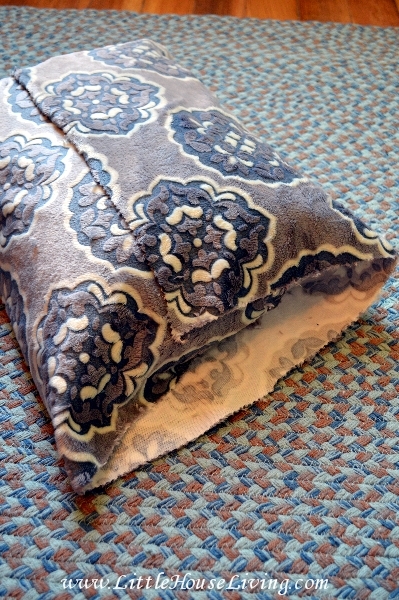 Great way to save on a pillow that can easily be recovered. Great craft idea. I’ve been making my own cloth diapers with a minky outer and they are so soft and cuddly. Our home school group have been doing patchwork and my daughter made a large single log cabin block and made a European pillowcase using a similar,jar method to this. 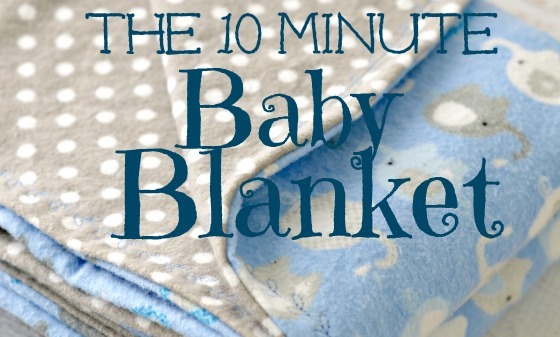 Great tutorial, I especially like the idea of just leaving the end open to make washing the cover easier. I’ll be trying this one soon. Thank you! Thanks for the great tutorial. I like to change out the decorative pillows on our sofa for the seasons but this is a good way to use the same pillows with different covers. Where was this idea years ago when I was decorating my pillows? Such a cool idea. Thanks for the easy step by step pictures! Your pillows look so comfy – I do something similar and love that I can use the pillow forms for different pillow coverings. 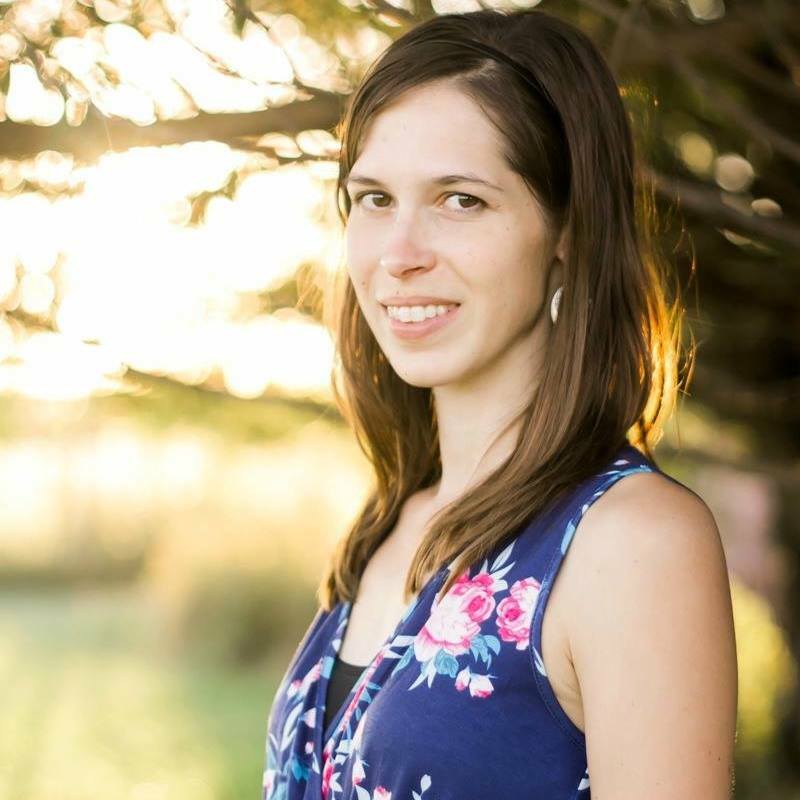 A new followers from Juggling Real Food and Real Life Party. LOVE your fabric choices, Melissa. I tried this last winter (successfully, I might add), using the body of a reclaimed sweater on one side and denim on the other. Also added a strip of velcro to the opening to eliminate any gapping. 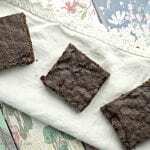 I love that you shared this, it is such an easy & fun project!! I really enjoy your ideas. Keep it up! Lori, cutting 3 pcs. is how i’ve always done it too… this is SO much easier! and quicker! also like the velcro tip brom Cheryl… my overlap was always about 6 inches so there was no problem… this new way, however, may cause a bit of a gap. also like the velcro tip from Cheryl… my overlap was always about 6 inches so there was no problem… this new way, however, may cause a bit of a gap. Thank you for a great (and simple) tutorial. I love pillows but dread buying them as they can be $$. But these look great, and since I am not much of a seamstress I think I could pull these off with the help of your tutorial. Thank you! I love changing my pillows out with the season, this pillow cover would make that easy to do! Thanks for sharing this at the In and out of the Kitchen Link Party! Great and easy. Would work with a no sew approach as well! 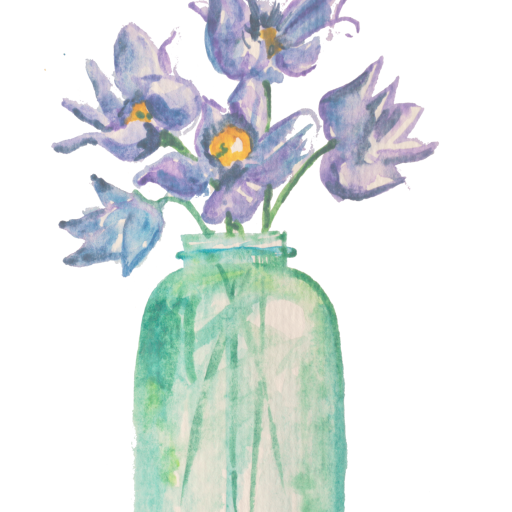 Thanks for joining the Making Monday Linky Party. This is an easy to do tutorial! 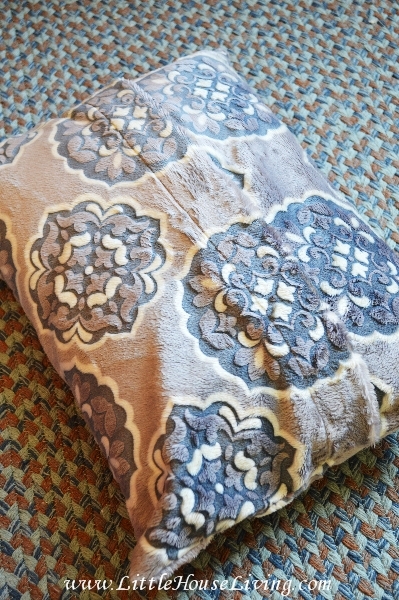 Your steps and photos make these pillow covers easy to make for any sewer – especially beginners such as myself! Looks like I’ve got some pillows to cover! Not only was this extra easy but with a baby boy on the way, 2 dogs and a husband (who see’s nothing as unwashable) — I can take the pillow cover off and through it in the washer. Any time I need a great idea, I turn to this website, today I find the pillow example and I also just found your homemade finger paint! Thank you so much for such a useful site!!! I tried this today to make some Thomas the Train throw pillows for my little guy’s room. I had purchased the fabric some time ago and wasn’t sure what to do with it. Seeing some throw pillows which no longer matched anything we had, I used those as the form and covered them with the Thomas fabric using these instructions. As a beginner sewer, the instructions and ease of project were great. Thank you! My son and I made a patchwork fabric from old jeans. I was stuck how to get it easily onto the throw pillow for him. Problem solved! In order to keep from having dog-eared corners on your pillows. Here is a tip I learned years ago: fold pillow fabric in fourths then measure in a 1/2 inch in the corner(where it has been cut), make a dot. Measure the sides ( cut edge) and make another dot at each measurement. Draw a line connecting your 3 dots and cut along this new line. I am so pleased to find this article! 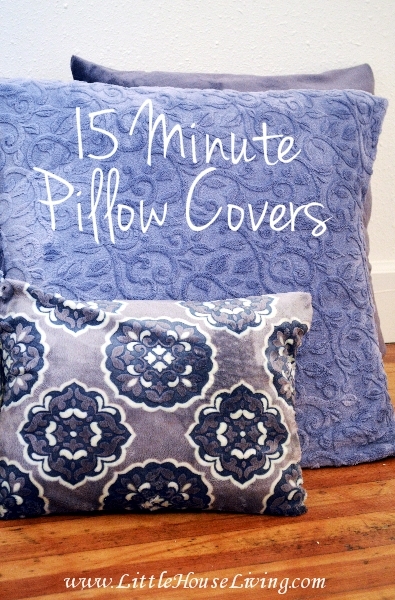 These pillow covers are easy to make. I am going to try this. Thanks and keep sharing.